It seems that the older we get, the faster the years go by. We were just ushering in 2011 and now it’s over. The end of the year becomes a time where we are able to reflect on the things that happened and make changes if needed. It’s a time where we should be deciding to end bad relationships because the year has revealed to us that there is no benefit in them. It’s time to take control over the things that this year has shown us are out of control. It’s time to rededicate our lives to the people who matter the most to us. It’s time to talk to God about purpose, plan and repentance. It’s time for us to make sure that we don’t miss out on the real important things in life because we’re too busy chasing the superficial things. 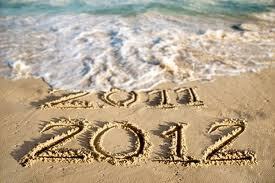 Don’t let 2012 come and go without you experiencing the things that matter most. Make sure you seize every moment to love someone, admire things God created like sunsets and rainbows and mentor someone that needs you — what God has hidden in these types of relationships make life worth living. And finally, do the best you can to eliminate stress, the Western culture diet and revenge out of your life. All three of these things can kill you. Lord thank you for allowing us to see another year. Grant us the courage to make the most of it and honor and glorify your name in it.Amen! Previous Post Truth or consequences?